• What's On at Pollard Gardens? Lots! • Time for a garden clean-up? What's On at Pollard Gardens? Lots! There is a range of fun, family activities offered at no cost this summer. Movies in the Park returns, where popular films are screened outdoors at RT Pollard Gardens as part of the Light Up Sunshine series of events. Movies this month include family favourites like "The Muppets Take Manhattan" and "Stuart Little". Over the summer Council looks forward to the park being filled with kids enjoying the pre-movie entertainment like the L2R (Limbs 2 Riddims) Hip Hop workshop on Saturday 16 January afternoon, and trying out the other activities on offer. Part of the pre-movie entertainment on Saturday 30 January will include All Day Fritz, a band that is known for singing original songs and favourites that people easily recognise, creating a feel-good atmosphere. Parents bouncing a baby on their hip, grandparents teaching the next generation to swing dance, everyone having a good time – this is what is expected to happen on when the band All Day Fritz visits the park. Earlier in the day activities such as a wacky instruments workshop, a group bike ride and a Power Fit class will also be held at the gardens . Movies in the Park runs until March and pre-movie entertainment is supported by the VicHealth funded project B-active@Pollard, with Arts Centre Melbourne presenting All Day Fritz. Light Up Sunshine is delivered in collaboration with the Sunshine Business Association. Looking for something to keep the kids busy these summer holidays? Why not sign them up to Brimbank Libraries’ Summer Reading Club? The theme of this year’s Reading Club is ‘Lost Worlds’. Underwater worlds, alternate universes, epic adventures, mythical creatures and so much more await discovery in this summer’s program — what will you uncover? The reading club will officially run until Sunday 31 January, with registrations closing on Monday 25 January. For more information, visit Brimbank Libraries. Brimbank City Council has prepared a Draft Concept Plan that outlines the future design upgrades for the Keilor Village with the aim to improve the look and feel of the Keilor Village Town Centre. Council endorsed the Draft Keilor Village Concept Plan at the Ordinary Council Meeting on 8 December 2015. Community consultationand has begun and will be followed by a report detailing the outcomes. Consultation is open to the general public. Written submissions will be accepted until Friday 12 February. The community will play a vital role in achieving the best possible design outcomes for the Concept Plan and ultimately the village. 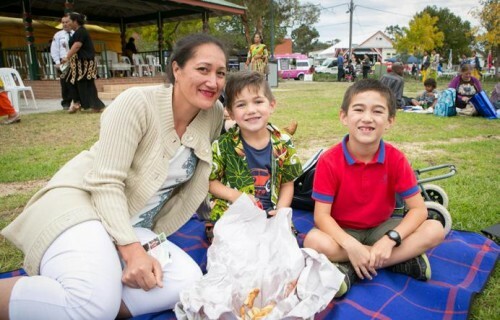 The Draft Concept Plan aspires to maintain and enhance Keilor Village’s rich character and history, while creating an attractive and sustainable community to live in. The plan has outlined three priority areas that once improved will increase the liveability, sustainability and visit-ability of the Town Centre. These include the main shopping strip in the village, bus bay upgrades and a new shared cycling path that runs along the southern side of the Old Calder Highway. For more information visit www.brimbank.vic.gov.au or call Brimbank City Council on 9249 4000. Sessions will be presented again in March 2016. Check our Brimbank Votes page for dates. The sessions will be delivered in two parts (four hours each). Time for a garden clean-up? The holidays are a great time to get your garden in shape! So you can make the most of it! If you’re planning to work in the garden there are plenty of options for disposing your green waste. Your separated green waste that council collects is turned into garden products potting mix, mulch, and compost. This reduces waste going to landfill. We offer green waste collection once a fortnight on the same day as your garbage. Green waste bins have a bright green lid and come in two different sizes. Council provides green waste bins for an annual fee, 140 litres ($111.45 per bin per year); or 240 litres ($122.45 per bin per year). Consider composting your green waste or using a worm farm. Both break down organic waste, create nutrients to help your garden grow and help reduce your garbage bin waste. Compost bins and worm farms can be purchased through Council. For enquiries visit www.brimbank.vic.gov.au or phone 9249 4000. You can also arrange collection of larger bundles of green waste through a user pays "at call" bundled green waste collection service – available from WM Waste Management (Council’s current contractor). WM Waste Management’s rates are $65 for four cubic metres of bundled green waste (one flat trailer load). Collection can be booked at any time of the year directly through WM Waste Management Services. Visit Hard Rubbish Melbourne or phone 9721 1915.